Check out The Amelia Project – an audio drama podcast. Listen on iTunes or our webpage. 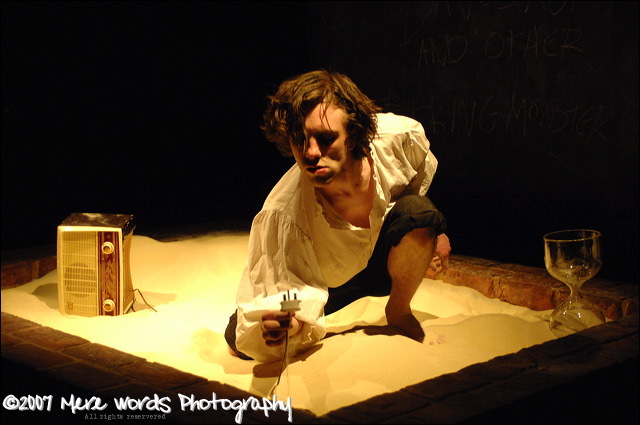 Imploding Fictions is a globe trotting theatre company drawn to lively, unusual and adventurous theatre. 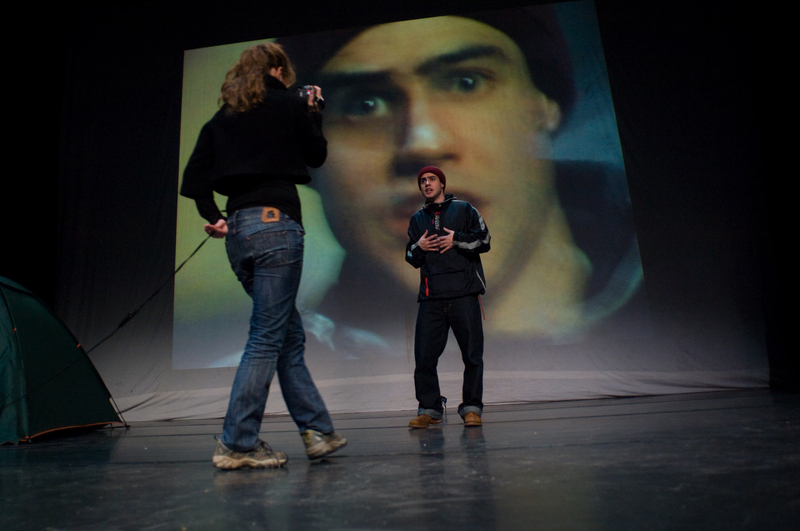 Since the beginning in 2007 we have created four stage productions, one online theatre show, and a busy side-programme of readings, workshops, and scratch projects. Imploding Fictions kicked off with a production of Hamletmachine at London’s BAC, a show that won international acclaim and toured to Egypt, Italy, France and the Netherlands. Our second production, the English premiere of the Swiss play Norway.Today, was created during a residency period at the Junction in Cambridge. A year later Norway.Today was revived at Southwark Playhouse in London. In 2010 we were invited to make a production for Theater Drachengasse in Vienna. The resulting show Flap and Fear won a Newcomer Award in Austria and subsequently transferred to Oslo in an expanded version. In 2011 we created the online theatre experience You Are Invited… for the Anywhere Theatre Festival in Brisbane. The show took place simultaneously in Spain, Germany, Norway, Britain and the USA and viewers were sent on a route through the different performances via web-cam. In march 2012 we presented the Iranian play White Rabbit Red Rabbit, a performance event which took place six times, in six different theatres across Oslo with six different actors. In 2009 we set up Oslo International Theatre (OIT). OIT was a platform for contemporary international drama in Norway. OIT’s work has featured plays by Maya van den Heuvel-Arad, Lydia Adetunji, Bruce Norris, Ewald Palmetshofer, Toshiki Okada, Jordan Seavey, Ivor Martinić, Darja Stocker, Niklas Rådström, Anja Hilling, Caryl Churchil, Wallace Shawn, Richard Stirling, Chay Yew, Sara Stridsberg, Esther Gerritsen and Martin Crimp. At the end of 2011 we brought renowned British playwright Simon Stephens to Oslo, as well as theatre and opera director Ramin Gray, for an in depth seminar week with actors, writers and directors from around the world. 2012 saw OIT based at one of Scandinavia’s largest theatres, Det Norske Teatret. The project ran until 2018. April 2013 we performed THE PREDICTIONS in Oslo. For exactly one year Sammy Metcalfe wrote one prediction every day about the world on 13th April 2013. The 365 predictions formed the basis of a durational show performed at Cafeteatret/Nordic Black Theatre in Oslo. In 2014 we curated Theatre Café Festival Oslo, as part of Theatre Café Festival Europe 2014-2015, and in 2015 we produced the monologue show Conversation / Den Perfekte Samtalen which was performed several places in Norway. 2016 has been focused on the development of new plays and productions, and 2o17 sees us celebrating ten years as a company whilst also launching our brand new audio drama podcast series The Amelia Project. For regular updates on what we are doing and where we are check out this website or subscribe to our newsletter by emailing us at implodingfictions (a) gmail.com. Imploding Fictions is run by Philip Thorne and Øystein Ulsberg Brager. Imploding Fictions does not tolerate any form of harassment or assault, sexual or otherwise. We are dedicated to making all our productions and projects a safe place to work for everyone. Photographs from Norway.Today with courtesy of Rob Thomas Photography © 2008. Photographs from Flap and Fear with courtesy of Patrick Wally and Andreas Friess © 2010. Photographs from Oslo International Theatre with courtesy of Michael H. Sciarrone ©. 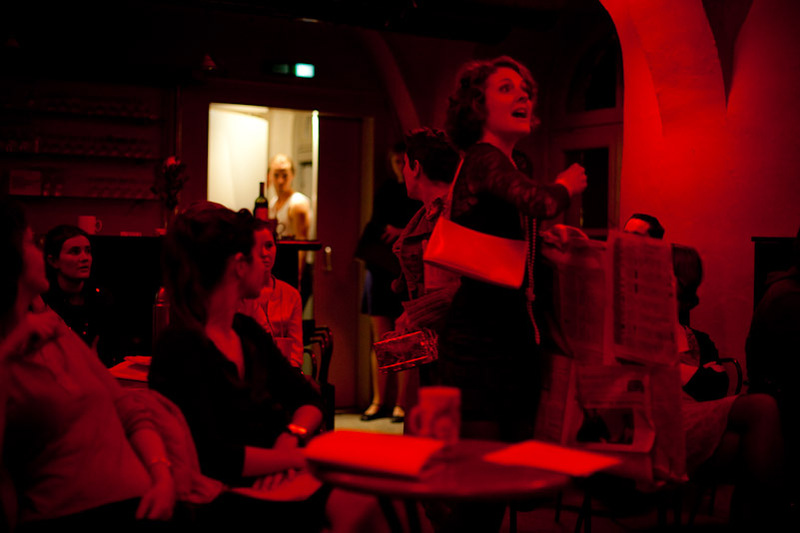 Photographs from the Predictions and Theatre Café Festival Oslo with courtesy of Ida Oppen ©. All other photographs by Imploding Fictions ©.